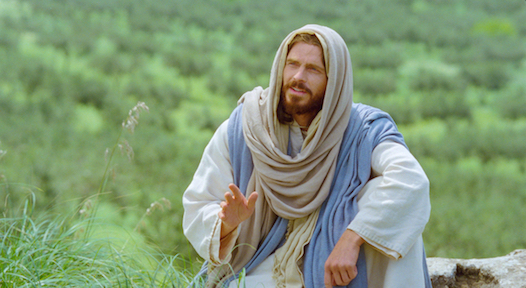 Christ delivered principles much like those He gave during His sermon on the mount to the Nephites when He visited them. The account is in 3 Nephi 12. Compare the things He said in both instances and discuss them. We’ll be focusing on Matthew here and bringing in important points from 3 Nephi 12. Christ delivered this sermon on a hill in Galilee, perhaps near Capernaum. Why would the Kingdom of Heaven belong to those who are poor in spirit? The Book of Mormon adds, “who come unto me.” What does it mean to be “poor in spirit”? How can being poor in spirit lead us to be humble? What does it mean to be a peacemaker? How does a person accomplish making peace? We live in a time of confusion and controversy where everyone can participate online, especially through social media. How can you be a peacemaker there? This verse says to let your light shine, not so that people will glorify you, but so that they will glorify your Father in Heaven. What is the difference, and how should you shine your light so that this happens? Few people understand what Christ is saying here. They have the wrong impression that the Law of Moses was (is) a law of RETRIBUTION, where you can inflict an eye for an eye, but that Christ threw out the Law of Moses and gave the people a law of love instead – a higher law. Yes, Christ gave us a higher law, but He did away only with animal sacrifice from the Law of Moses. The other commandments are the foundation of the building we call the gospel. The Law of Moses encompasses sacrifice and repentance, upon which the gospel is built. Unless we can live those laws, we can’t progress to anything higher. The Law of Moses, when properly understood, was not a law of retribution, but a law of RESTITUTION. It made sure the weak and victimized were compensated. Jews restored 4-fold that which they had injured or destroyed. Thus, if I killed the ox you used to plow your fields, I would restore to you 4 oxen, and in the meantime see that your fields were plowed. The reason we believe some sins are more serious than others is because it is impossible to make restitution to the victims of some sins, such as murder, the theft of virtue, etc. Thus, the foundation of the gospel, the Aaronic law, was being fulfilled in the Law of the Heart that Jesus brought. Using the name of the Lord in vain is actually invoking the power of God by using His name for a useless purpose. Christ here admonishes us not to use any of God’s creations, either, because by reference, they are all His. Be ye Therefore Perfect (v 48): Take a look at this article. The scriptures come to us from the Jews, and what you see in this article is the Jewish definition of perfection, which we have been taught to mean completeness. As you know, for Jews the number for perfection is 7. Completeness comes with the 7 holy attributes of God. This article shows that some of these attributes come with making and keeping temple covenants. Jesus angered the Pharisees when He and His disciples plucked “corn” (there was no corn as we know it grown in the Holy Land and this was probably barley or wheat). They then rubbed away the chaff and ate. No work can be done on the Sabbath. Observant Jews today prepare their Sabbath meals the day before. Jesus recited the story of David and his friends who ate the temple showbread, when it was lawful only for the priests. David’s needs were extreme. Christ was showing that the Sabbath was made for man, and extreme needs should be cared for. But He incensed the Pharisees even more when He said, “That the Son of man is Lord also of the Sabbath” (v 5). On another Sabbath Christ healed a man with a withered hand. It drove the Pharisees, who considered themselves guardians of the law, mad. Jesus asked them, is it lawful to do good on the Sabbath? Actually, there is a Mosaic law that can be called upon by local rabbis, the law that enables you to pull your ox from the mire on the Sabbath to save its life. In 1991 Israel enacted a secret airlift to rescue Ethiopian Jews and bring them to Israel. The airlift had to be done swiftly because it was executed in enemy territory. The Israel rabbinate evoked this Sabbath law so the airlift could be continued through the Sabbath day. All of Christ’s original twelve apostles were Jews, descended from Judah. Most people probably envisioned Christ as a scribe at the beginning. A scribe was learned but could be of any tribe, while priesthood functions were supposed to be performed by Levites. These were not men who would have automatically been respected in their communities. At least four were fishermen. The most educated may have been Matthew, but he was a publican or tax collector for the Romans, and therefore hated by the citizens of Judea. Simon Peter was a Zealot, so today you would call him rightist in his politics. The Zealots were prone to secret violence to rid Judea of Roman rule. Jesus now began to heal many. The whole multitude was eager to touch Him, and the scriptures say He healed them all. Here is either another account of the Sermon on the Mount, or a separate instance wherein Christ gave a similar message. This account is even more enthusiastic and contains advice that is timeless.